Land surveys are important both for businesses and for individuals who want to buy and properly build on land. You may need one for a variety of purposes, from verifying what you're actually buying to finding the right usage for a space to settling any concerns or disputes. As you work with a land surveyor to learn more about your property, here are a few of the most useful terms to know. A benchmark is a fixed point you can use to determine the characteristics of other locations. A marker or grove, for instance, may be a particular benchmark set at a known elevation and in a permanent spot. You can then measure things off this benchmark, both regarding their elevations as well as their distances. Objects within the surveying map are referred to as calls. Calls could include landscape details like hills, rivers, streams, existing roads, trees, and the like. Or it may refer to a measurement referenced in the mapping. Calls are important both to identify what the borders include as well as what physical objects you own and must contend with. How do you measure distance on compass points? The answer is meridians and baselines. A meridian line is a line running north to south. It represents longitude on a globe or map. Land is referred to as being a certain distance and position from this meridian line. The counterpart of a meridian line is the baseline. Baselines run east and west and correlate to latitudinal lines on a map. Metes and bounds refer to a more traditional, (pre-GPS) way to measure land in relation to natural objects around it. This method makes use of two ways to measure boundaries. First, it follows a straight line from one point to another — referred to as a mete. Bounds are natural markers and landmarks used to define boundaries as well. Monuments are markers or references to markers that help locate map boundaries in the ground. Monuments are intended to be permanent and are often man-made — such as a stone marker sunk into the ground at a boundary corner or trees planted along one side of a lot to show its edge. Many categories of monuments exist, such as a line tree or a merestone. You may also find monuments that are more natural, such as streams, although these are technically typography rather than a legal monument. They may be referred to as a landmark instead of a prepared monument. Plat is a strange word, but it affects just about any property. It's the original surveyor's map made when the land was first developed or sold. The plat gives a great deal of information, such as directions of land features and easements. You need to know exactly what's on your land, so this is the most original point of reference. Very old plats, though, may need an update with more modern methods to be exact. Plats are also useful in determining the actual shape of a piece of property and to see what has changed over the years — including features that you may need to get clarification about. Understanding the features of a land survey may take a little bit of work, but it's worth the effort. You will have confidence that you really know what you're buying and what you're allowed to do with it. At Community Sciences Corporation, our surveyors have years of experience working with all types of properties and situations. We can help you resolve any concerns about your property too. Call today to learn more. Whether you're looking to start investing in real estate or you just want to buy a lot of land, you need to consider hiring a surveying company first. Surveying companies are especially important when you buy a large or oddly shaped piece of property. If you don't think you need a surveyor, check out these benefits of which you should be aware. When you buy a finished piece of property, you can often define the property lines yourself, especially if the property has fences on it. 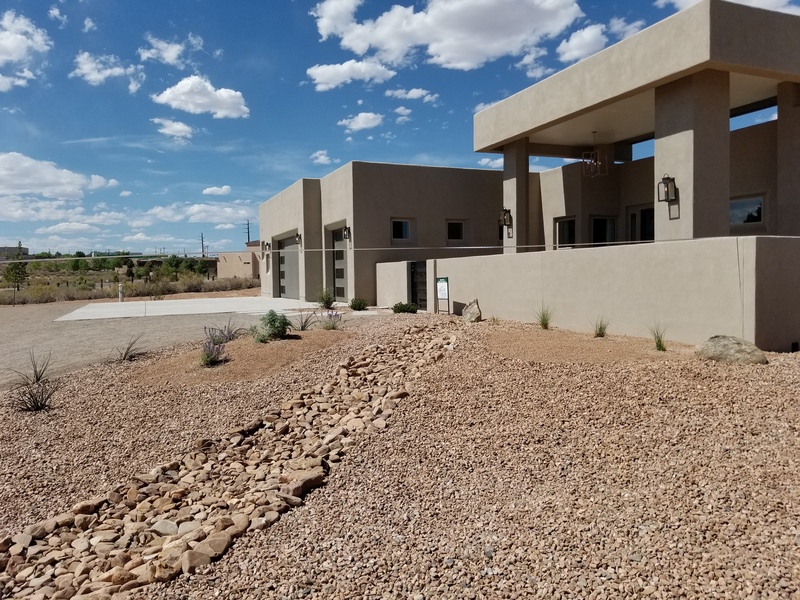 However, if you buy land, especially land in the middle of nowhere, determining the exact extent of your property can be difficult unless you hire a land surveying company to define the property lines for you to establish the official boundary. Knowing where your property ends is important for many reasons. First, you don't want to accidentally start building on someone else's property, but you also don't want someone else building on your property. Another benefit to knowing your property lines is fully knowing what is included, such as ponds, creeks, and facilities. Easements are pieces of land that someone else has been granted permission to use. For example, the previous owner may have allowed a neighbor to use a private road on their property as a shortcut. When the property is sold, however, the easement remains. Therefore, even if you never agreed to give someone access to your property, you may have to because of a former agreement. A survey will uncover any potential easements so that you can determine what to do. In some cases, you may not care and will continue to let the neighbor use the road. However, if the road is in your way because you want to build something, you may need to take action to resolve the easement, or you may want to avoid buying the land altogether. Another problem with buying land is your neighbors may not have gotten a survey before buying. Therefore, they may have not known where their property ended when they started building. As a result, you may have buildings or structures on or close to your property. Some may be easy to spot, such as a detached garage or barn. Many potential encroachments, however, are underground, such as septic tanks, but a professional surveyor will find them for you. They can also help identify any other potential problems or perks underground, such as groundwater and wells. Not only does this help you know what's on your property, but it better prepares you for building. The biggest reason to get a land surveyor is because they will help you plan for the future. In some cases, the survey can mean saving hundreds of thousands of dollars by avoiding a piece of property that has a lot of problems, such as easements, so you can save your money for a better investment. Of course, it also helps you know what you have. For example, if you plan to build a neighborhood or community, having a lake on the property could be a perk. However, that lake that enticed you to buy may not even be part of your property. By hiring a surveyor to tell you exactly what you own, you can better plan for your future and investment. Buying land can be a great and rewarding investment and opportunity. However, if you don't know what you're getting, you're taking a big risk. A land surveying company will help you define your boundaries and uncover potential complications. For more information, contact us at Community Sciences Corporation today. Buying a new home or piece of property is exciting. However, a lot of responsibilities come with this endeavor. For example, you may want to have the land surveyed first. And, while getting a land survey might not seem like a big deal, you want to make sure you have it done the right way, which means hiring the right person. Fortunately, you can choose a great land surveyor and have everything go smoothly if you just follow a few basic tips. Land surveyors have to be licensed to practice in the state in which they live. The findings of anyone who is not licensed would not be legitimate. The good news is that it is illegal for people to practice land surveying without a license. This makes it less likely that someone would masquerade as a legitimate land surveyor without being one. To stay on the safe side, though, ask to see a surveyor's license before hiring them, or contact your state licensing board to check on the status of the person's license. Many land surveyors will advertise that they are licensed and bonded. However, what that means can really vary from one land surveyor to the next. The type of insurance you really need a land surveyor to have is liability insurance. This insurance will protect you if the land surveyor makes some kind of error or mistake, especially if it is one that causes you problems in the future. Ask the surveyor if they have this type of insurance and what it’s amount of covereage. If so, ask about how you'll be protected as a result. If not, then you may want to look into other options. If you're having trouble choosing a land surveyor or if you can't pick between a few different options, get some expert advice. Surprisingly, one great source of information is your title company. These companies typically work with many land surveyors. As such, they should have plenty of information about who is a good surveyor, who charges the best prices, and who is the most accurate. Don't be afraid to call up your title company to ask questions and to get a recommendation for the best land surveyor around. Land surveying is a field that changes along with the times. New technologies, laws, and techniques often enter into the practice. A good land surveyor will stay abreast of changes in the field and will regularly pursue continuing education related to it. 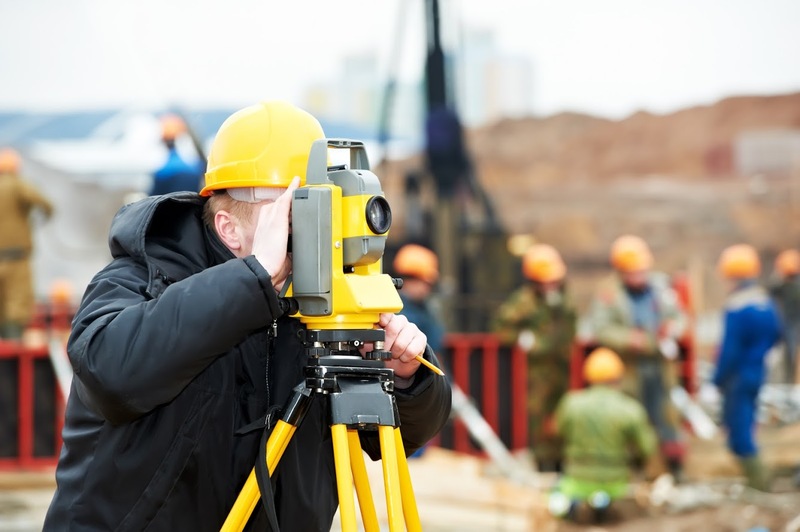 Hiring a surveyor that makes an effort to continue their education will ensure that you get the most modern and accurate land-surveying services possible. Remember, you are hiring this person to do a service, so don't be afraid to ask if and how the surveyor is continuing their education and staying on top of land-surveying trends. Finally, make sure that you choose a land surveyor who has a lot of experience in the field. Typically, the more experience the land surveyor has, the better they will be at the job. Plus, more experience often equates to being less likely to make a mistake. Ideally, try to find someone who has been in business for several years. This will give you great peace of mind and a better chance of a positive outcome. If you can think about these things and do your research, you should be able to hire an excellent land surveyor. 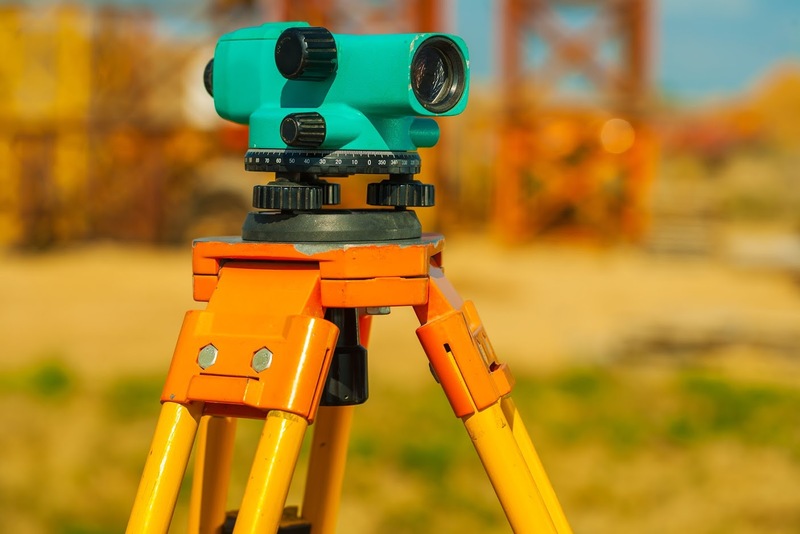 If you need help choosing someone or just want more information on land surveying, contact the experts at Community Sciences Corporation, they’ve been land surveying since 1974.